Last night as I tripped over a pair of Jason's running shoes, it just hit me, this is a house of athletes. Not professional mind you. But athletes nonetheless. I run and lift, he runs, swims, cycles. So we have an abundance of workout related gear strewn about the house. Pretty much in every nook and cranny to be honest. So, I thought it'd be fun for Fun Facts Friday to do a "you know when..." kind of post. 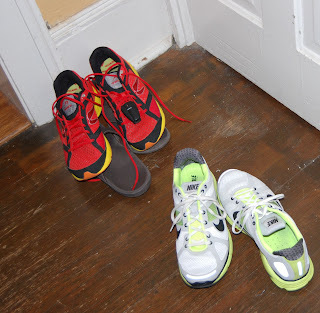 Your turn - how do you know you live in a household of athletes? Do you see yourself as an athlete? 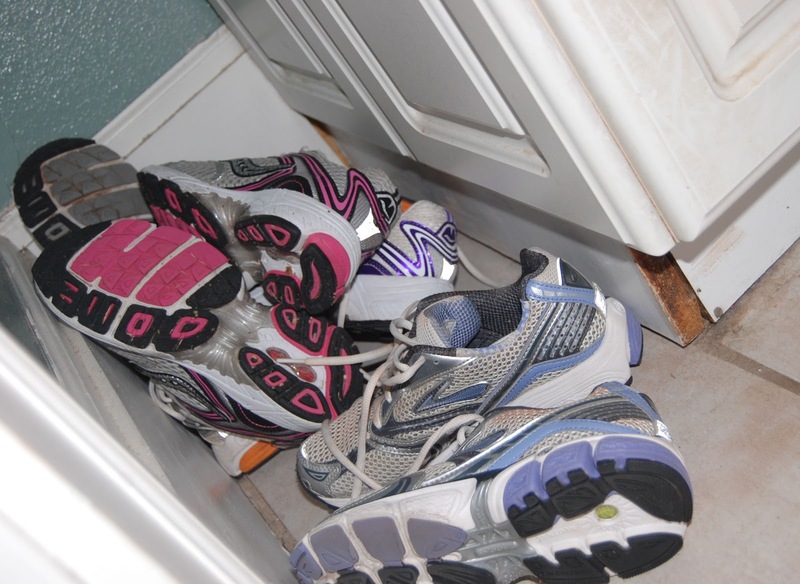 Have you been snooping in my drawers??? You nailed this post! So true! I was just commenting to the hubs that we have so much laundry at the end of the day not because we have 2 messy toddlers but because we both workout everyday. You might be a athlete if you keep spare hair elastics and headbands in your car just in case you are going to workout! This sounds oh so familiar. My husband and I have just accepted that our home office is really our home gym. And I have a few of these things stashed at work too!